To help with the perpetual mess of dirt that O is intent on scattering over the patio, I have enlisted his help to keep it clean. All the good parenting books talk about introducing children to helping around the house early so while it is still fun and not a chore. So today, armed with an almost-O-sized broom, we went about cleaning up the back patio. 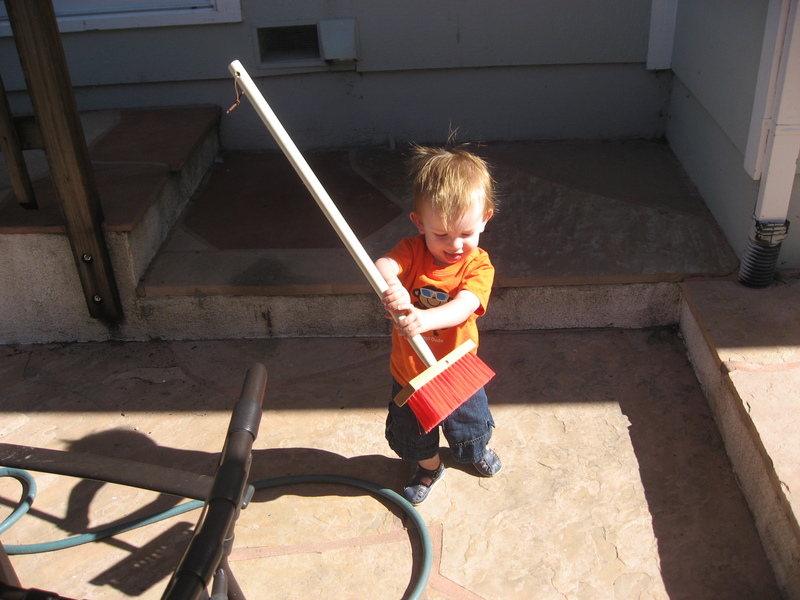 O is still perfecting the finer points of broom handling, but he has the basic idea down. O’s other new video on Spinning is also up on YouTube.